Invite 4 special friends, neighbors, or co-workers, who want to have fun as they spark their imagination! Choose a date and time for the workshop. We need 2 weeks notice to secure a teaching artist. Collect $30/person and fill out the registration form. Receive conformation of your reservation by e-mail with a follow-up call to discuss details. Note: Minimum registration is 5 participants; maximum 10. 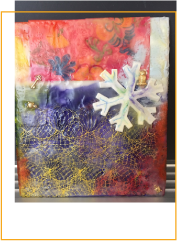 The person booking a group of 10 participants receives a $30.00 gift certificate to apply to a new workshop booking or to use for buying creative art materials at ArtScraps. Experience new ways of seeing the world around you-a critical skill for all who want to learn to draw. Artist Jeanette Dickinson provides individual and group drawing challenges in a fun and encouraging setting. Create a watercolor still life. The artist leads you through several basic watercolor techniques (wet on wet and resist,) as well as tips for painting from observation. You leave with a watercolor fit for framing. Come learn the basics of acyclic painting techniques in a fun design we will do step by step. Once you learn the basics of design, layout, color blending and layering, you can start creating your own original work! Nature is an important theme in Japanese art. 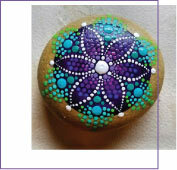 Work with artist Jeanette Dickinson to learn the traditional art of ink and brush painting or sumie. Then create your own sumie scroll. If you have a shelf full of clear glass vases that you have collected over the years, we have the perfect solution to giving them pizazz and new life! Work with an artist to add color and design using alcohol paints. You will be amazed at the outcome. Bring your own vase or we will provide one. Create a variety of small hand-bound books working with an artist who covers basic book binding lingo and technique and shares a variety of styles and techniques. Some of the styles and techniques covered include: envelope binding, simple pop-ups, accordion binding, and pocket bindings. 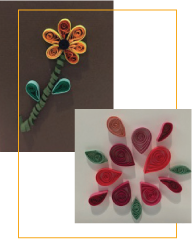 The art of quilling, or the coiling and shaping of narrow paper strips to create a design, has been around for hundreds of years. Join an artist to design and make your own special quill work. Nothing sheepish about this class! Join an artist to learn the art and technique of felting using colorful wool roving. Then create a small vessel or bag for yourself or to give as a gift. A stitch in time when an artist introduces the basics of embroidery. Learn how to make French knots, to chain stitch and backstitch. Then choose a design or draw your own and get started on your first Sampler. Learn the art of jewelry making with recycled beads, pendants, and charms. Work with an artist and create stunning jewelry to wear yourself or give as gifts to friends and family. No sewing experience needed. Just gather all those buttons that have popped off clothes and join an artist to create an elegant button necklace. Learn basic jewelry making techniques unique to button jewelry while re-purposing material in a creative way! Small treasures or photos you have collected from trips, events or loved ones before the stuff of this classy jewelry project. Learn simple jewelry techniques working with micro images, beads and more with an artist to turn your memories into wearable art. Bring in items no larger than 1” x 1”. The Tree of Life is an ancient symbol found around the world in many cultures. Learn about the history and meaning behind the symbol of the Tree of Life and create your own circular pendant. Julie Boada of the Fond du Lac nation introduces the art of beading. 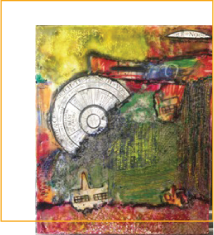 Learn how patterns and colors can reflect tribal and family affiliations. Then create your own beadwork, as Julie tells traditional stories of her people. Sewing experience is helpful. Work with an artist to identify different species of bees and strategies for protecting our pollinators, especially the endangered Rusty Patch bee. Then create a scientifically correct and artistically beautiful nesting place for bees in your backyard. Bask in the gentle glow of a luminary created with an artist. You will be amazed at how a few well-chosen decorative elements and a large dose of imagination make this simple project a work of art perfect for any occasion! Memory is the diary we all carry with us. 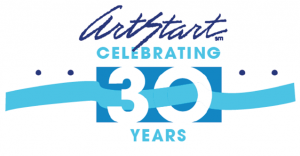 An ArtStart artist helps you record the memories you hold dearest in your heart. Bring treasured photographs, objects, notes as more. Then decorate a special wooden box to hold these cherished moments. Do you have a special occasion coming up or you just want to get together with friends in an informal and fun setting? We are ready and able to bring to life the concept or project that you have in mind. Join us for a 3-day art camp for adults and teens in which you learn skills and techniques of specialized art media that you can apply to future creative projects. Choose one or all of the classes. All materials provided. Minimum of 5 participants. Bring a snack.